This immaculate silver bracelet truly sparkles with beauty. It features brilliant round-cut clear crystals that really dance in the light. 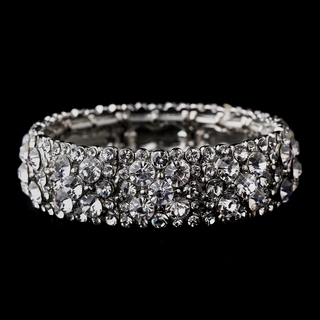 This bracelet is perfect for any special occasion in need of some extra glamour!